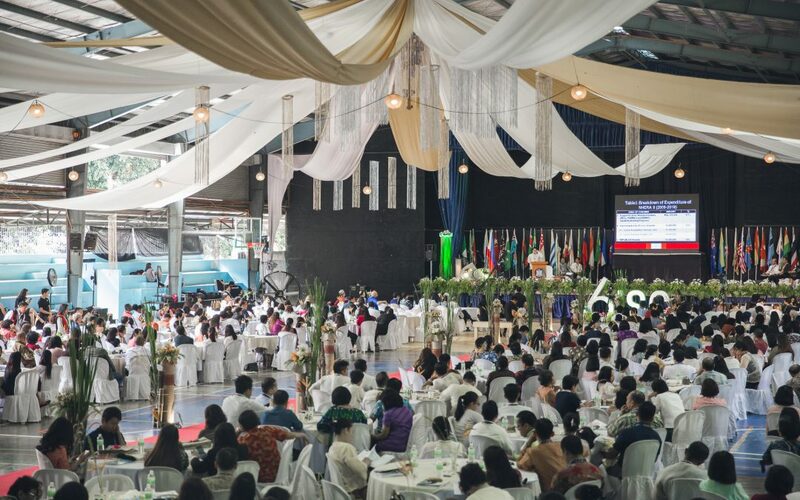 Successful doctors, pastors, teachers, businessmen and other professionals from all corners of the globe gathered at AUP on Thursday, February 28 through Sunday, March 3, 2019. Greeted by banners heralding their grand reunion, it was a special time set aside to remember, to reconnect and to revisit a time in their past, to experience again their years on this campus where they came together 40 years before to begin their college years. Members of the first freshman class of then Philippine Union College descended on the campus for a weekend of reunion activities which included a Thursday evening banquet, a health and wellness seminar on Friday and full Sabbath services from Vespers through Sabbath School and the Hour of Worship, The group of nearly 60 alumni from the Pioneers Class participated in a special luncheon followed by a baptism of 4 precious souls which was the result of an evangelistic crusade also sponsored by the Pioneers. They spent the afternoon touring the campus which afforded them special photo opportunities as they were able to see the results of 40 years of progress. A solemn sundown service was then capped with a dinner and social time for this group of enthusiastic classmates now in their late 50’s and early 60’s. Flashback to 40 years ago when this same set of young high school graduates arrived at the new, nearly desolate campus of PUC Silang, then a distant and provincial location. A bumpy jeepney ride on the narrow, dusty pothole-ridden main road to Santa Rosa or up the hill to Tagaytay were the only links to the civilization of a city. Only a few buildings existed in strategic points of the campus of this budding college—just a couple of classrooms, dormitories, the cafeteria and the graduate school, the motorpool and a few faculty homes. Sugarcane fields and pineapple plantations marked the rolling landscape with a few lush mango and coconut trees when a total of 110 students from educational institutions near and far came to the school to seek higher education. They were bright-eyed and eager to begin their classes as new college students and little did they know that their existence would carry such great significance in the amazing history of this school. It was this group of young men and women who were the first occupants of the new Modulars and the newly erected and freshly painted Sampaguita Hall, the first to dine in the new cafeteria. Their feet were the first to traverse the sidewalks and, yes, even the unpaved trails that connected the motor pool to the cafeteria, the dorms to the gym and PIC which were both still under construction at the time. What are now stately and mature ipil-ipil and acacia trees were mere saplings planted by the caring hands of the Pioneers who participated in two hours of work education every day before they began their classes. The work-study program yielded countless hours of valuable manpower which helped shape and construct the sprawling campus into what it is today. Where there are now concrete and asphalt roads were once dusty paths on sunny days or muddy dirt roads on rainy days for these Pioneers to plod. There were not many vehicles on campus 40 years ago. The modes of transportation back then were just a few cars and mopeds whose engines would break the stillness of the then quiet and tranquil rural atmosphere. Undoubtedly, this unique, adventurous, trailblazing and historically special pioneering class was divinely placed at this specific time in PUC/AUP’s timeline. As young college freshman then and now, 40 years later, as leaders and solid workers in their chosen fields of ministry, medicine, education, business, nursing and allied health among others, it is clearly evident that the years they spent as Pioneers has contributed greatly to the solid foundation of character building, the tenacity to become high-achievers and the desire to be of greater service. On ever onward, the Pioneers have gloriously gone, as they have truly and most certainly exemplified the school’s motto. Gratefully blessed, proudly inspired by their history and enthusiastically eager to continue their legacy, the Pioneers Class was responsible for the construction of Pioneers Hall and will soon announce their next project for the continuing advancement of their alma mater. 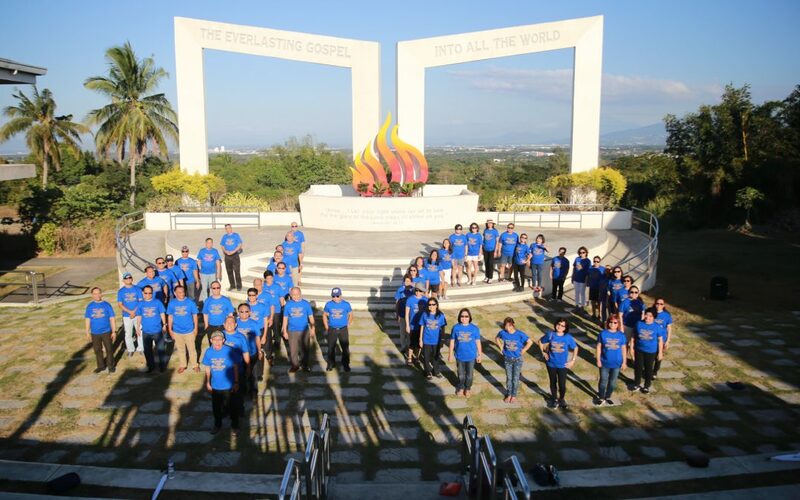 Adventist University of the Philippines (AUP) celebrates its 102nd Foundation Anniversary with a week filled with activities, ministries, and programs. The celebration transpired from January 26 to February 3, 2019, with the theme “Advance, Uplift, Progress! AUP @ 102”. With the aim to educate people in the community about the importance of healthy living, practicing a healthy lifestyle, with the emphasis on mental health, the week-long celebration initiated with the screening for the Health Expo held on January 26, 2019 at Vista Mall, Sta. Rosa, headed by the AUP Advancement Office in partnership with the AUP-College of Health faculty. The Adventist Community Services of Sta. Rosa Industrial district of Seventh-day Adventists headed by Pastor Joel Macaraig also assisted in the planning of the Health Expo which was completed on February 2, 2019. Spearheaded by the AUP Central Student Council alongside the Student Services Office, the college intramurals commenced through a ceremony on the evening of January 26. Participated with each college, the student body warmly opened their annual college intramural games with vigor, excitement, and sportsmanship. 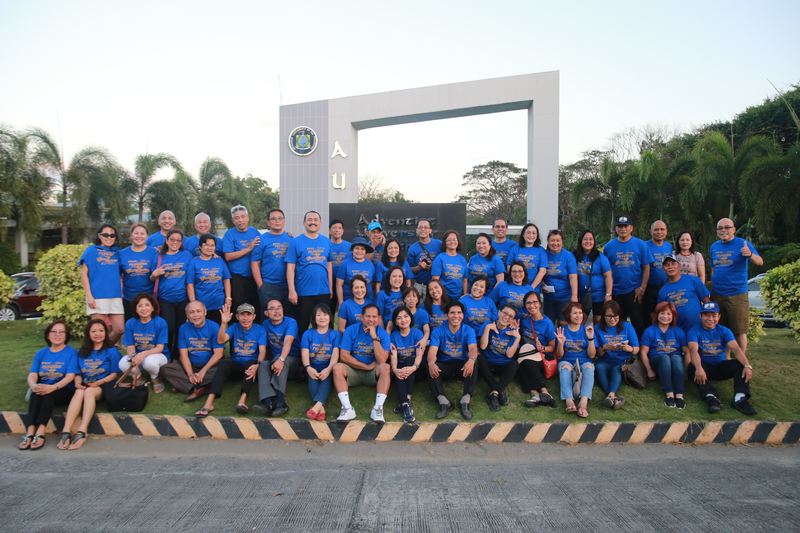 As part of the University’s advocacy to develop the mental, social, physical, and spiritual aspects of the students and workers, a fun run was held very early the next day, January 27, 2019. Kids as young as five years old, faculty, staff, students, and even alumni of AUP, participated in this fundraising program for the completion of the College of Medicine. Indeed, God proves to move the hearts of His children to be united in one big project for the furtherance of His evangelical work. As the University continued the week-long celebration, the AUP students and faculty organized community services in the neighboring communities namely Bukal Elementary School and Buklod Child Development Center. Programs such as “­Alis-Kuto Program” of the College of Nursing, dental services by the College of Dentistry, writing seminar by the College of Education, and free medical check-up by the College of Medicine were some of the community services rendered by the AUP family to the neighboring communities. Truly, the AUP family, friends, and alumni have seen God’s works and blessings through the institution. With this in mind, AUP held its thanksgiving program on February 1, 2019 with one of our pioneer graduates and the incumbent principal of Baesa Adventist Academy, Pastor Glen Lagabon, as guest speaker. Selected faculty and staff were also recognized during the thanksgiving program for their loyalty and dedication to God’s work. The University family continued its thanksgiving and celebration with the Sabbath worship filled with praises and songs. Alumni from different parts of the world shared how AUP has helped them and how God has blessed them throughout the years. The afternoon musical worship was filled with heavenly songs rendered by the various choirs and musical groups within the University. With the emphasis on family, the Philippine International Church (PIC) Family Ministries with the AUP Advancement Office held its Family Night February 2, 2019. Students, faculty, staff, alumni, and administrators fellowship together to share stories, memories, and a sumptuous meal of barbecued bananas, corn, different Filipino desserts, and Arrozcaldo. Despite the cold breeze of the night, the warmth was felt as everyone shared smiles and laughter. The weeklong celebration was culminated with a sports-fellowship participated by several alumni and students of the university, showing the true spirit of sportsmanship, cooperation, fun, and family. Since the day that God sanctified the inauguration of this institution, people have seen His working through the ministries, services, programs, and alumni. 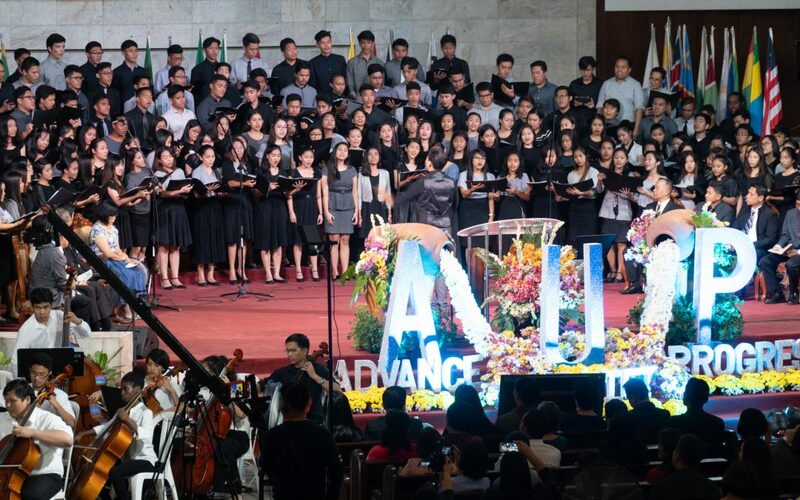 God has truly blessed many lives through the Adventist University of the Philippines―a genuine evidence that through God we ADVANCE, to God we UPLIFT, and with God we PROGESS! 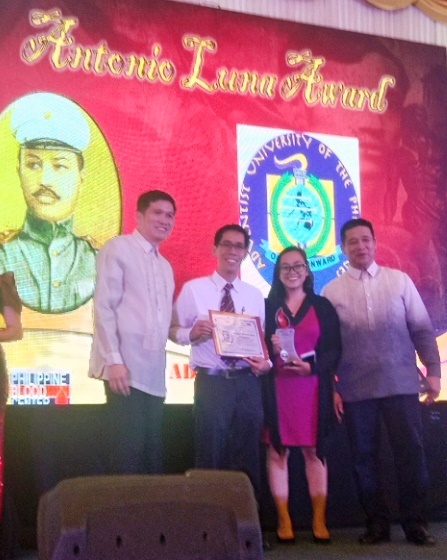 The Philippine Blood Center (PBC) of the Department of Health (DOH) awarded the Lapu–Lapu and Antonio Luna Awards to the Adventist University of the Philippines at the Hotel Rembrandt in Quezon City last January 25, 2019. The awards were received by Mrs. Merbeth L. Pedro, the coordinator of the blood drive, and Dr. Orlex Yllano. These awards were given by the PBC, DOH to AUP in recognition of the institution’s unwavering commitment to the cause of voluntary blood donation. The partnerships of various organizations and institutions with PBC, DOH enabled them to provide safe, adequate and accessible blood for countless patients all over the country. Through the annual voluntary blood donation program of the Biology Department, College of Science and Technology, the National Service Training Service, Philippine International Church, and Community Extension Service of AUP in collaboration with PBC, DOH, students, faculty, staff, and volunteers exemplify one of the core values of AUP that is to exemplify the character of Christ through unselfish service toward humanity. The coordinators of this annual program — Ma’am Merbeth Pedro and Mr. Jeff Pedro would like to thank our numerous altruistic volunteers for sharing their blood to our fellowmen who are in dire need of lifesaving blood. The next blood drive activity on campus is scheduled on March 17, 2019 in celebration of the Global Youth Day. 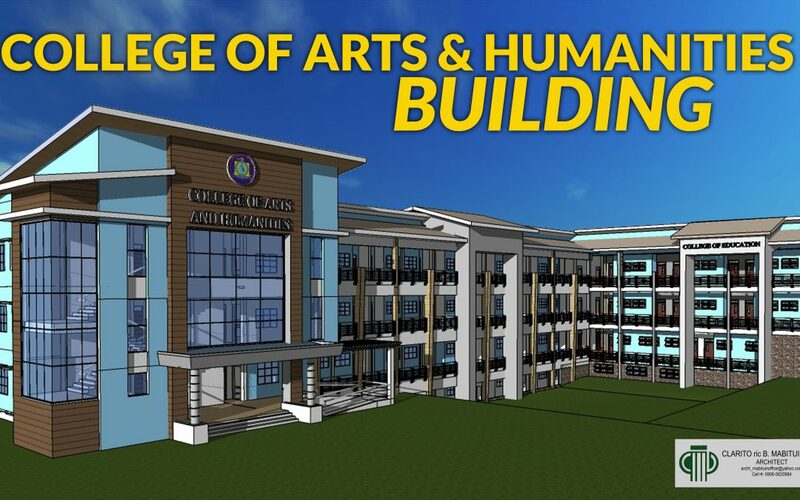 The Adventist University of the Philippines (AUP), through the Physical Facilities Development Committee, is now inviting for pre-qualification of contractors for the construction of the College of Arts and Humanities building. This is a 3 story building with basement, of approximately a total floor area of 2,700 sqm. This building was designed as a conventional structure, with a medium range of architectural finishes which can be estimated in a cost of 21,000 – 25,000 pesos per sqm. Please contact Engr. Jessrel Lagariza at mobile no. 09493234137 or jylagariza@aup.edu.ph for further details on the qualification of contractors that may participate in the bid. Deadline is November 30, 2018. 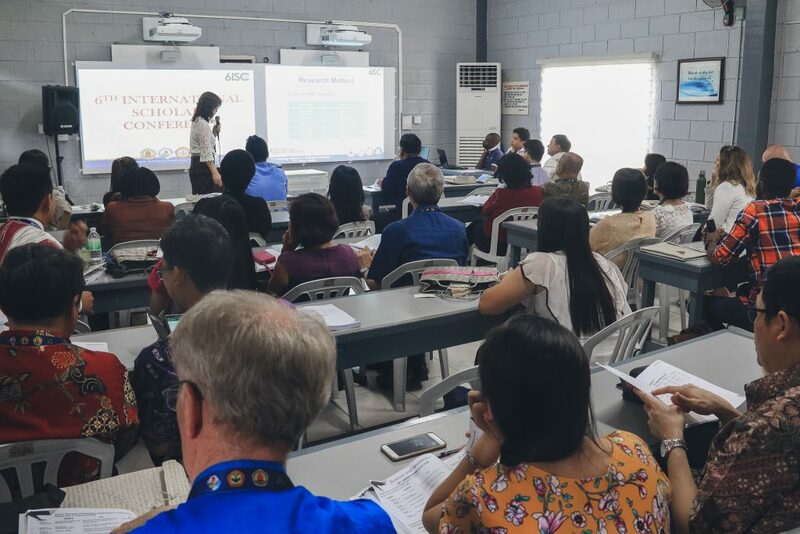 Some 37 delegates from the Philippines participated in training workshops from October 21-28 held at the Society for the Management of Autism Related issues in Training, Education, and Resources (SMARTER) Brunei EDGE Centre in Kampong Mata-Mata. The delegates were from three different institutions and organisations in the Philippines, namely the Special Partners Assisting Remarkable Children (SPARC) Development and Support Centre, Special Education and Kinder of the Department of Education Manila and Adventist University of the Philippines. Four of our students, Lychel Gabuco, Rosday Lazaro, Lemogang Ntswaneng, and Stel Getty Degaños along with Ma’am Michelle Collado, the Faculty SPED Adviser represented our University. The workshop sessions provided them with experience and invaluable training in concepts in autism related issues. Staff and management of SMARTER Brunei led by President Malai Haji Abdullah bin Malai Haji Othman provided the training. (6ISC Day 1 @ AUP). The 6th International Scholars’ Conference (6ISC) with the theme, “Translating Research in a Borderless Community: From Theory to Action” has been held at the Adventist University of the Philippines in Puting Kahoy, Silang, Cavite on October 29-30, 2018. From the registry, 599 registered, 253 are presenters while 346 as participants from 30 higher education institutions (HEIs) and two basic education institutions, both local and international. The opening ceremony started at 8:30 AM. The keynote speaker during the opening ceremony was Dr. Custer C. Deocaris, Head of the Research Management Division on Commission on Higher Education (CHED) of the Philippines. Dr. Deocaris is a well cited researcher and multi-awarded scientist. His message was entitled, “Our Road to NHERA II.” NHERA stands for National Higher Education Agenda, which is basically a Research and Development laboratory that supports HEI researchers to produce research outputs and innovations to advance the country’s economy. Dr. Deocaris encouraged the Filipino researchers to produce more research to lift the rank of the country in the ASEAN region. He reported that there were only 97 projects and PhP522,205 budget for research in NHERA I (1999-2017) while in NHERA II (2008-2018), the number of projects reached 447 with PhP1.1 million budget. Although the budget and research outputs increased, Dr. Deocaris lamented that the country is lagging behind from its ASEAN counterparts especially Malaysia and Thailand. In his message, he also stated that Natural Science has more proposed research with 39.8% while Humanities and Arts is at the bottom with 0%. 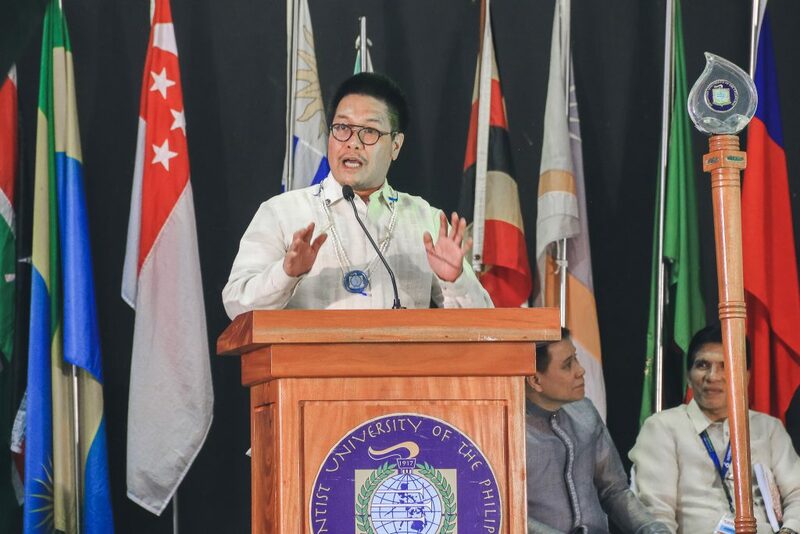 He also said some aspirations for the NHERA III which “aims to create a strategy, to spawn 21st century Filipino researchers to have a curious and creative minds and diversity of talents”. Dr. Deocaris emphasized that the HEIs are now considered as the most powerful sector that can change people’s lives through research. Parallel sessions in various strands (Allied Health, Arts and Humanities and Education, Business and Governance, Science and Technology, and Philosophy and Theology) were well participated. In the afternoon plenary session, Dr. Danny Rantung, President of Asia Pacific International University, Thailand, was the speaker. Dr. Rantung discussed the challenges facing HEI administrations. He explained how HEIs can break boundaries and walls for innovation to take place. The 6ISC participants were welcomed with cultural presentations during dinner. As AUP is known for its diversified students from over 50 countries, the cultural night was spectacular in entertaining the conference guests and participants. This annual event is a partnership of four Adventist HEIs in the ASEAN region, namely Adventist University of the Philippines, Asia-Pacific International University (AIU) in Thailand, Universitas Advent Indonesia (UNAI), and Universitas Klabat (UNKLAB) also in Indonesia. The First International Scholars’ Conference was held in AIU in Thailand in 2013, the second was hosted by AUP, the third was by UNAI, and the fourth was by UNKLAB. Then, last year, the cycle began again in AIU as these four HEIs take turns in hosting the ISC.